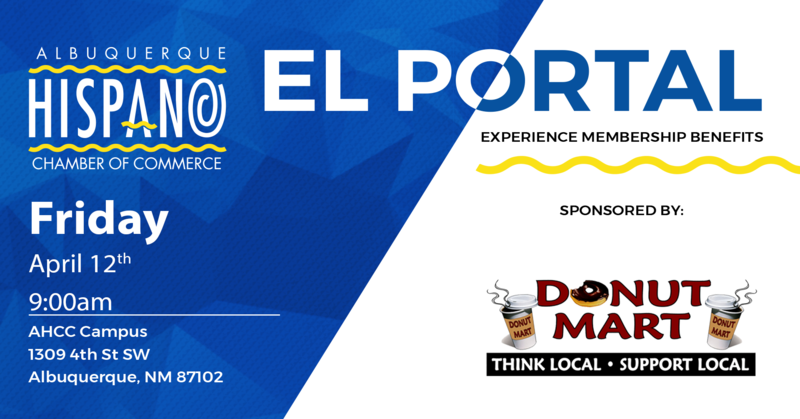 You are invited to our Member ONLY “El Portal” Membership Orientation on Friday, April 12th 9:00am-10:30am at The Albuquerque Hispano Chamber Campus. This is a great event for New & Existing Members alike as we will discuss key points on how to take full advantage of your chamber membership. We have very limited seating, so Please RSVP by responding to this email as this is an invite. Members Only Event and Invite ONLY! This will be a great in-depth look at the programs, training, and networking that is part of your Albuquerque Hispano Chamber membership. We hope to see you there!